Living with missing or severely damaged teeth is something that many people just learn to accept as a fact of life, but it doesn’t have to be like that. A common dental appliance known as dentures can be created to replace missing or damaged teeth. If you have gaps in your mouth from missing teeth, severely damaged teeth from tooth decay or injury, or are experiencing pain as a result of severe gum disease or tooth decay, dentures may be able to help improve your oral health and correct your smile. Learn more about dentures to see how they may be able to help you. Dentures are a customized, removable dental appliance that is used to replace teeth that are no longer able to fully function on their own. Teeth can stop being able to fully function as a result of structural damage due to injury or tooth decay. The artificial teeth on dentures can also be used to replace missing teeth that have either fallen out due to bone loss or previously extracted and not replaced with artificial teeth. There are two types of dentures available for people who want to use them to replace missing or damaged teeth. 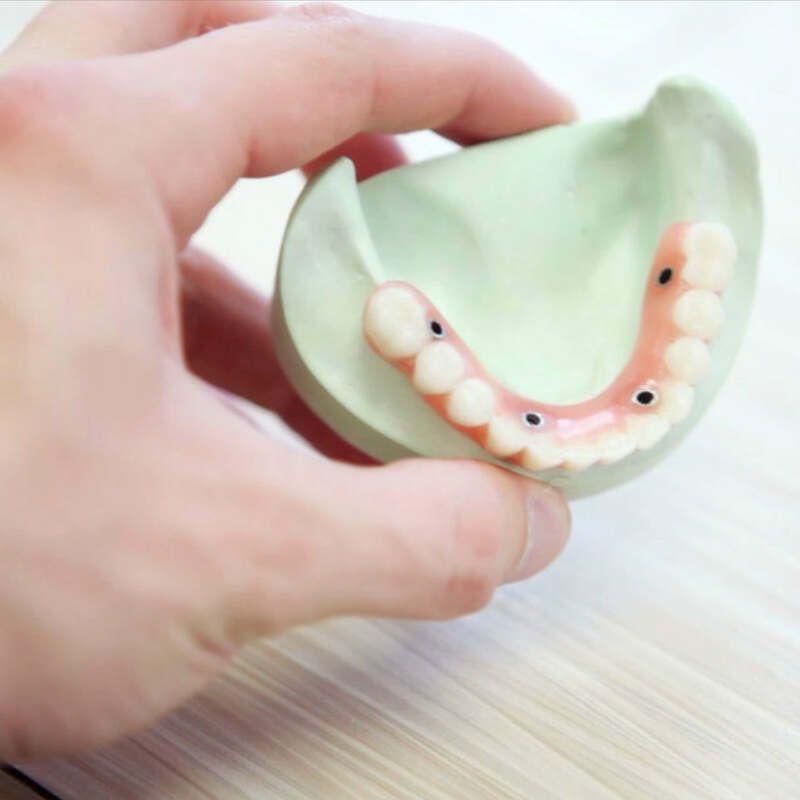 Complete dentures are used when all of the teeth in your mouth need to be replaced with artificial teeth, while partial dentures are used to fill in small sections of missing teeth. Just like any dental procedure, there are benefits and drawbacks to dentures. Learning more about the pros and cons of dentures can help you determine if they are a treatment option that can help you. Repairs may be needed – dentures can become damaged or broken. If this happens, you cannot fix them on your own, you will need to have a dentist fix your dentures. Tooth strength is not the same as natural teeth – artificial teeth on dentures are strong, but not as strong as your natural teeth. This can create difficulties with talking and chewing. Dentures are great for replacing missing or damaged teeth. However, they aren’t right for everyone. If you are thinking of getting dentures, call Bonham Dental Arts to schedule a consultation to discuss getting dentures. During the consultation, our dentist will conduct an oral examination, take digital photos and x-rays, learn your oral care routine, previous health and dental history, and lifestyle to determine if dentures are right for you. Should our dentist determine dentures aren’t right for you, other options can be recommended so you can replace any missing or damaged teeth. Call our office today to schedule an appointment for a consultation. We look forward to helping you not only improve your smile but improve your oral health.